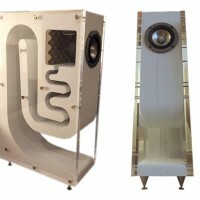 To me there’s just something Magic about a well designed, large woofer 2 Way speaker. 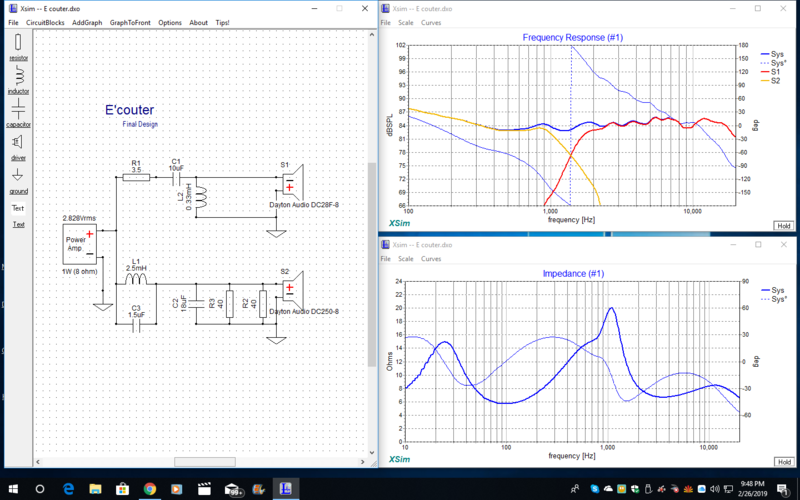 Understanding the problems of meshing a large paper Woofer and small non loaded Tweeter into a flat accurate speaker system, I can see why there’s not to many being made today. But with the more advanced drivers and crossover technology available today, I thought I’d revisit some old memories. 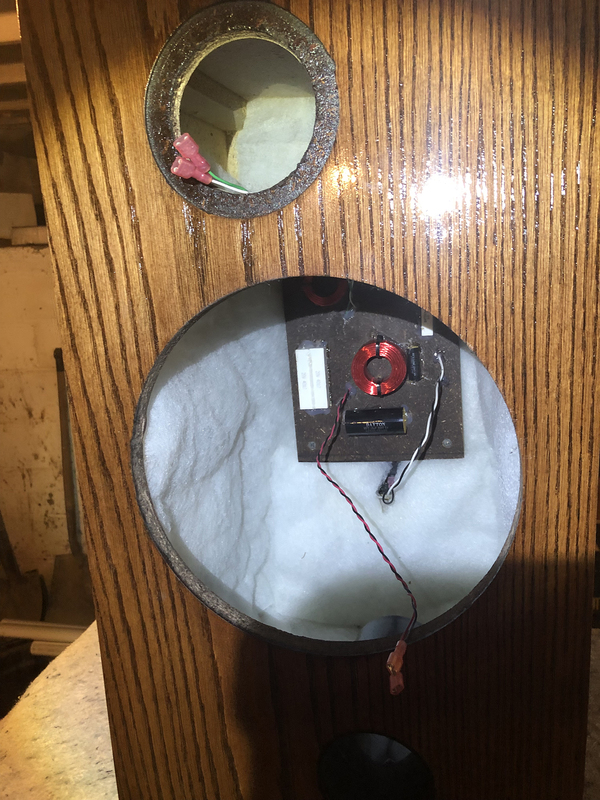 I like a challenge and it seems no one designing speakers like this anymore, I figured I’d give it a shot. 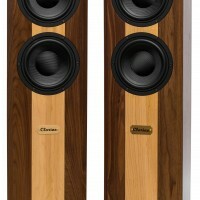 To reproduce the speakers I Loved in my teens with a modern drivers and crossover design. 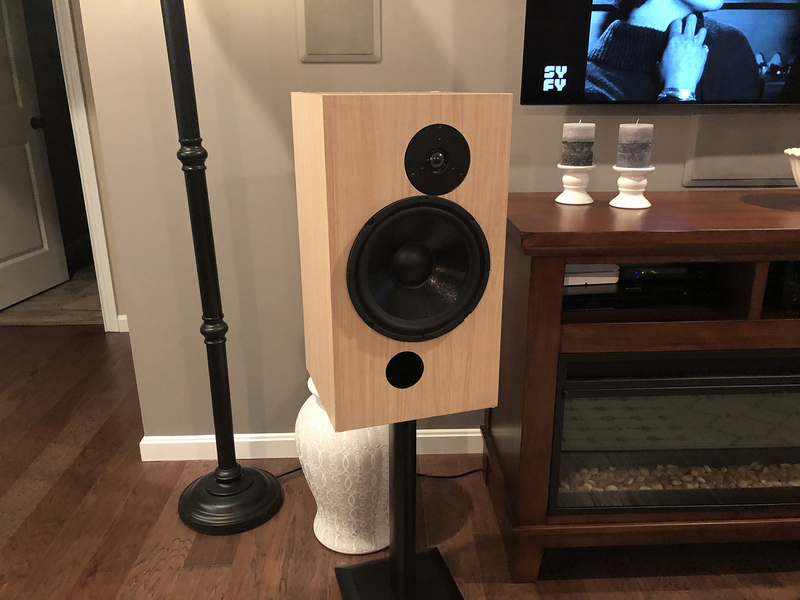 I figure I could do at least as good as my old Realistic Optimus 23s I settled with, since I couldn’t afford the Dynaco a25s I lusted after or the JBL L56s. 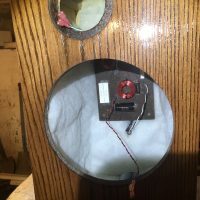 I decided to try to copy the drivers and cabinet dimensions of those old Realistic Speakers. 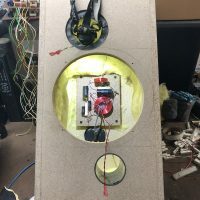 Dimensions are 22.25″x 12.25″x 11.75″ Internal enclosure volume of 1.3 is a little small for the 10″ woofer but still goes quite low with the DC250-8 and 3″ port facing forward. 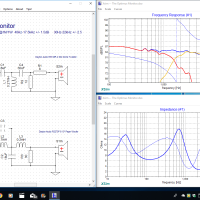 I’m solid and fast too, down to 40Hz. Using the materiel of choice during the 80’s-90’s, I’ve been doing my measurements accounting for the sound of the box. Minimal bracing used. I think the cabinet is part of the presentation. It gives a speaker character and a signature. 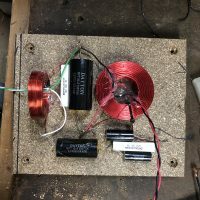 The woofer uses a 2nd order filter with a notch capacitor across the coil. 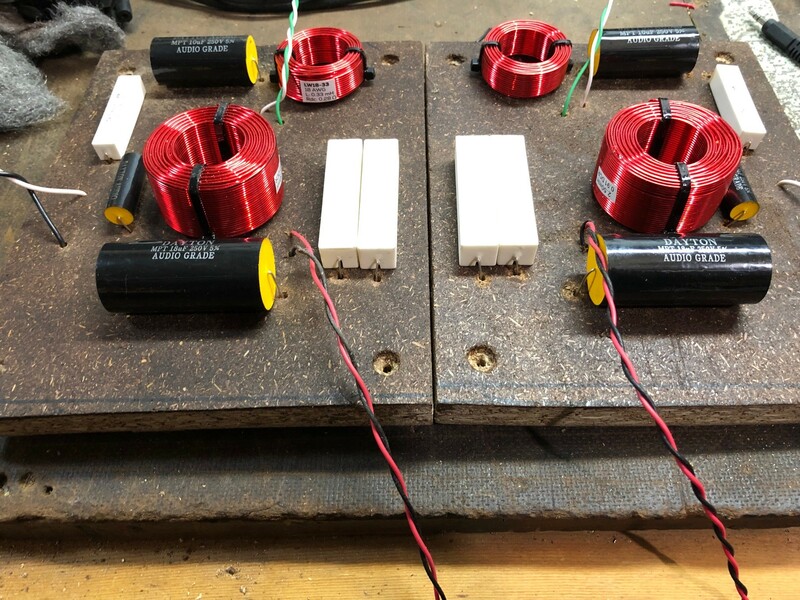 While using resistors in the load for contouring the woofer’s response and maintaining a flat impedance. 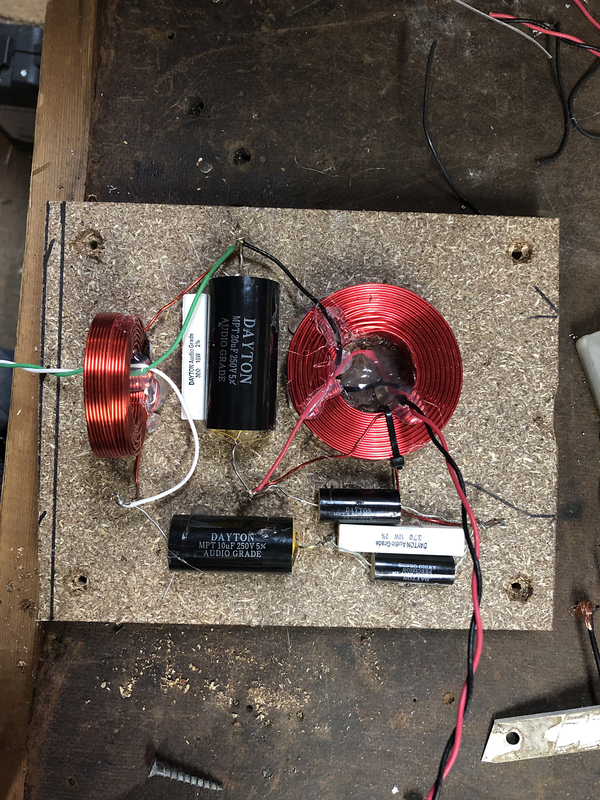 I used 2 high powered ceramic/sand wire-wound paralleled for increased power handling. 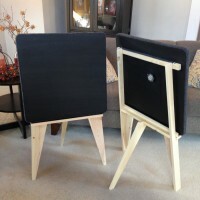 The tweeter filter is a simple 2nd order with padding resistor dropping the tweeter down to match the woofer. Dayton makes great Drivers, I usually buy nothing else for my original designs. 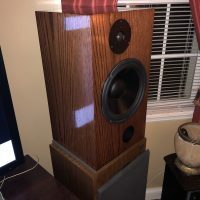 The Dayton Audio DC250-8 10″ Classic Woofer is a great driver to work with, solid and clean bass, and a good sounding mid-range to at least 2kHz. 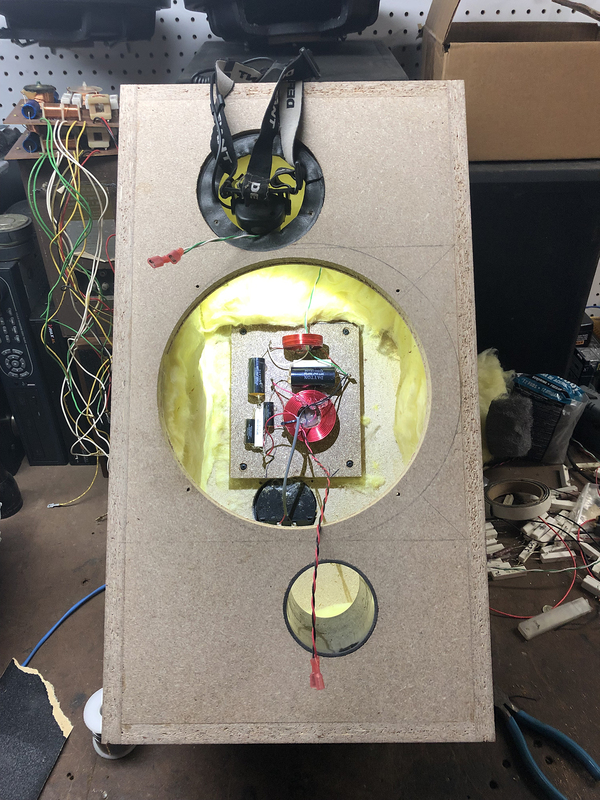 The Dayton Audio DC28F-8 1-1/8″ Silk Dome Tweeter is an over-achiever. It’s an amazing value and sounds like it cost many times more than it sells for. 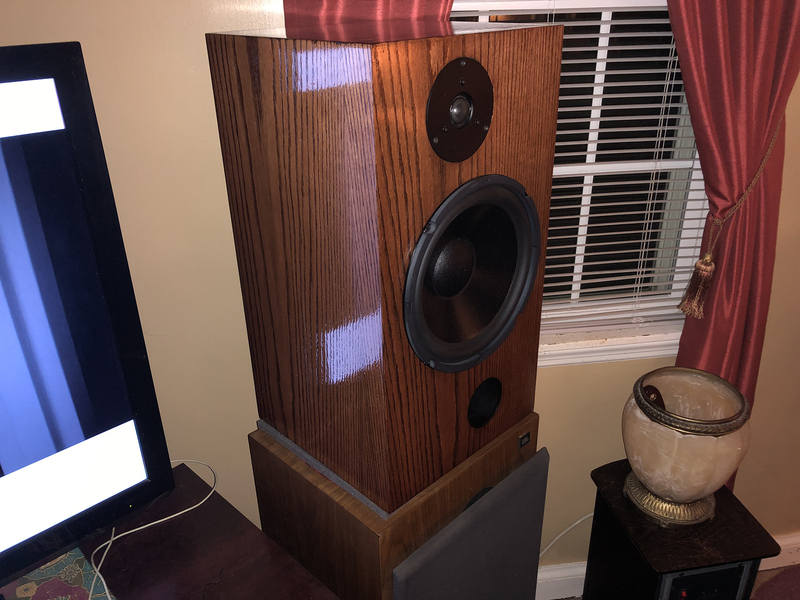 I was able to put the 2 drivers together with a solid response, excellent imaging and powerful bass in a classic looking speaker that’s way better than those in the 70’s and 80’s. I’ve made a few sets of these now, and my customers and I are very pleased with the results. 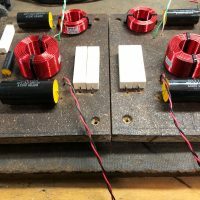 I’ve been in the Audio/Video and Electronics Security Business for a long time. 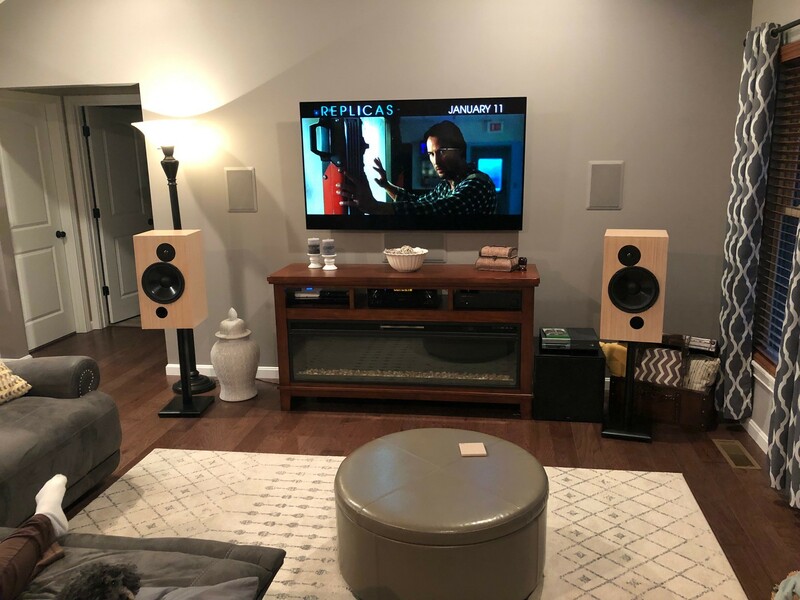 Building custom home theater rooms and set up, led me to building custom speakers for a few of my clients. 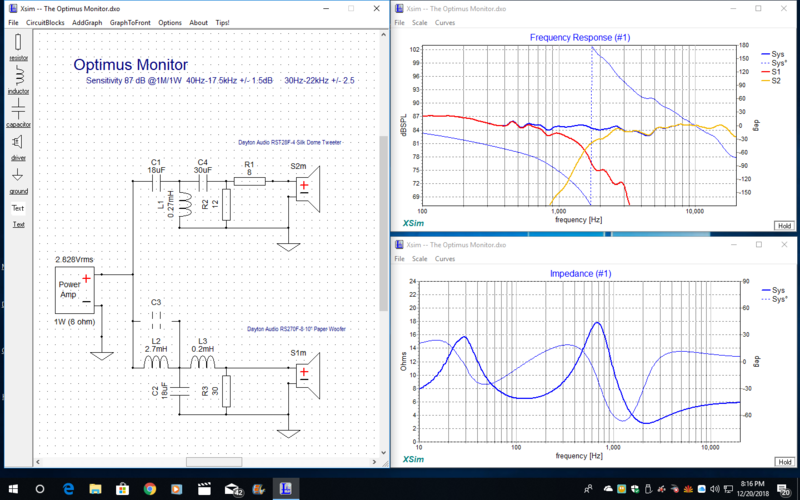 Though I’ve always been a Speaker DIYer since my early days at the local Radio Shack and using the drivers they sold. Good Times! 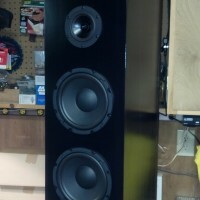 Awesome, speakers with large woofers just look nicer. I wish I could’ve put more pics. up. 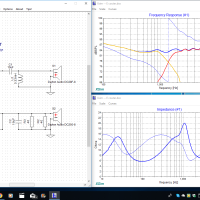 I wanted to include the crossover schematics. Elegant design and beautiful rich sound you’ll be impressed with! 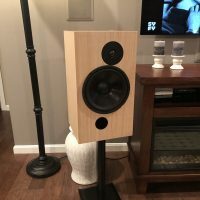 I have heard these speakers and I am very impressed with the sound! 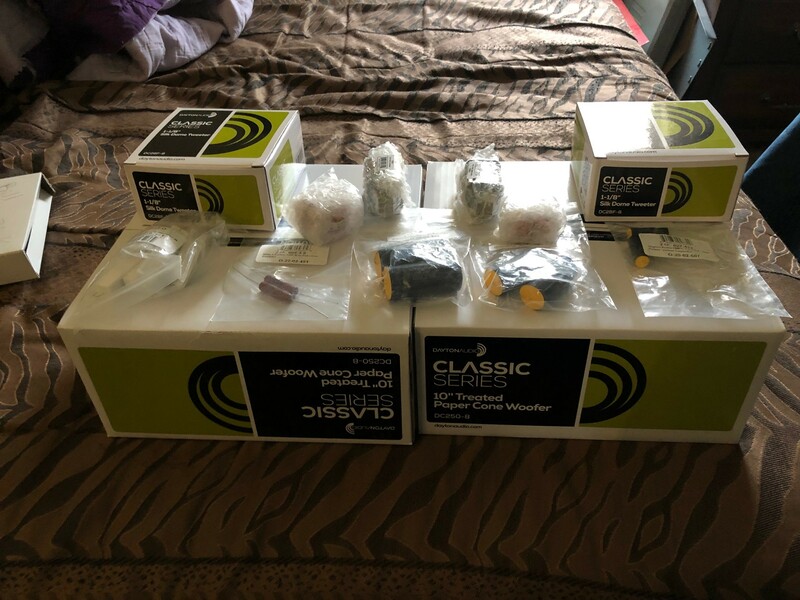 Enjoy listening to all types of music through these speakers. 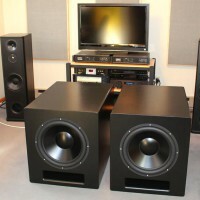 Amazing Speakers, the sound that comes out of these Speakers is Insane, Rich Sound, quality Speakers at a great price. Enjoyed listening to them, Thank You! Thanks Jeremy, We need to build you a pair. Great work and attention to detail. 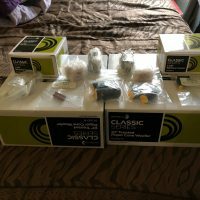 Speakers sound great, way better than anything I’ve had, and way cheaper than the ones that sound worse! I have known the builder for a long time and if possible this sounds even better than past work. Great job! Beautiful!! You’ve outdone yourself at this price point!